You've got all the zero waste tools: Reusable straws, cloth napkins and stainless steel cutlery. You're ready to hit the town and do your thing. You head on over to a restaurant and you order yourself a nice drink, feeling good about yourself. You're all ready to use your reusable straw, which you recently bought. The problem? Your drink comes with a plastic straw. This exact situation has happened to me before, especially when I first got my zero waste travel essentials. While I had all the right equipment, I was still running into the same problem over and over again: I wasn't refusing the plastic. That's not to say I wanted it, but it got me thinking. Our society is so reliant on plastic, so used to it, that we use it so many times a day without really thinking about it. It's everywhere from restaurants, to shops, to grocery stores. 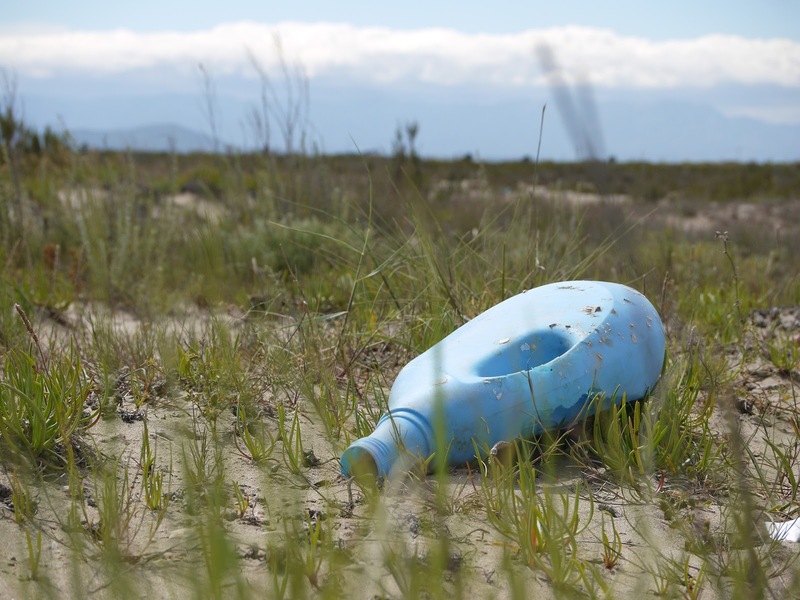 We've engrained plastic into our lives so much that it's hard to reverse the damage. Hard, but not impossible. It took me a few tries, but I started to learn the art of saying "no" to single use plastic. Now see, this isn't an easy thing for an introverted person to do. I may seem fairly extroverted, but secretly I'm really an introvert (why do you think I love writing so much?). It takes a lot of gall for an introverted person to speak up and lay down the law, especially when it goes against social norms. Sadly, plastic is a social norm in our society, so going against it is a pretty big deal. That said, it's an essential part of zero waste living, so I had to get used to refusing it sooner or later. 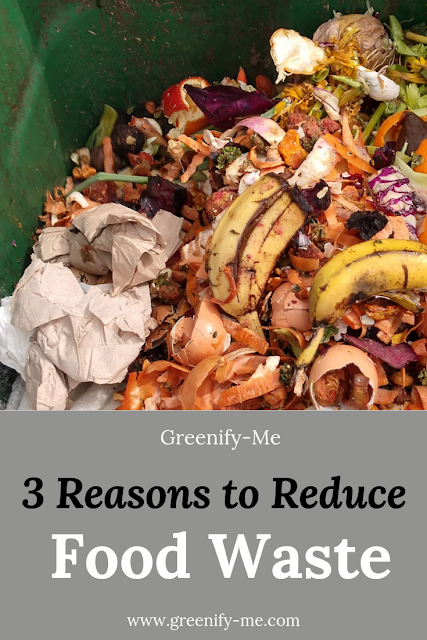 I'm still learning the ropes to this art of saying "no" to plastic, but I figured I'd share what I've learned so far with all of you. Hopefully, it will inspire you to do the same and give you a few pointers. I hope to become better at this myself, but it takes time. No art can be perfected overnight, but it's sure worth learning. First things first: New, single-use plastic is created practically every day, and it's not going to stop every time soon. Worse off, every piece of plastic that's ever existed on this earth is still around. Crazy right? So what can we do? We can refuse it. Saying no to single-use plastic matters, because you're not participating in the continuous, casual use of something so wasteful. You're putting one less straw into the ocean, one less bag into an animal's digestive track. It certainly makes a statement too: When others see you refuse, they usually have two basic reactions. They're either in shock, or disturbed by your decision. They will either applaud you or secretly disdain you. I speak from experience. I have met a number of people who have both been shocked and appalled at my use of reusables. Naturally, I love meeting people who are shocked and curious, rather than those who are doubtful and questioning. Thankfully, I've met more people who were supportive of my efforts than not. If you're kind and informative, people will naturally want to know more. Heck, I've even gotten people so interested in zero waste living I've handed out my business card to them. That's why it's so important to speak your truth. That's why saying "no" matters, even if you say it indirectly. It gets people thinking about their own lifestyle choices and spreads a great idea: Don't use single use plastic. Consider this: The average American uses 300 plastic bags per year. If you think that's bad, 500 million single-use straws are used and discarded in the US every single day. Yes, you read that right. Still think plastic straws are harmless? I'd say there's room for improvement, wouldn't you? We can't keep treating the environment this way. We can't keep being wasteful. We have to put a stop to these numbers, and the only way to do that is to refuse. We have to learn how to say "no". It's not going to be easy, and you will make mistakes. In fact, you can rest assured you'll mess up, especially in the beginning. But that doesn't mean you can't make an impact. 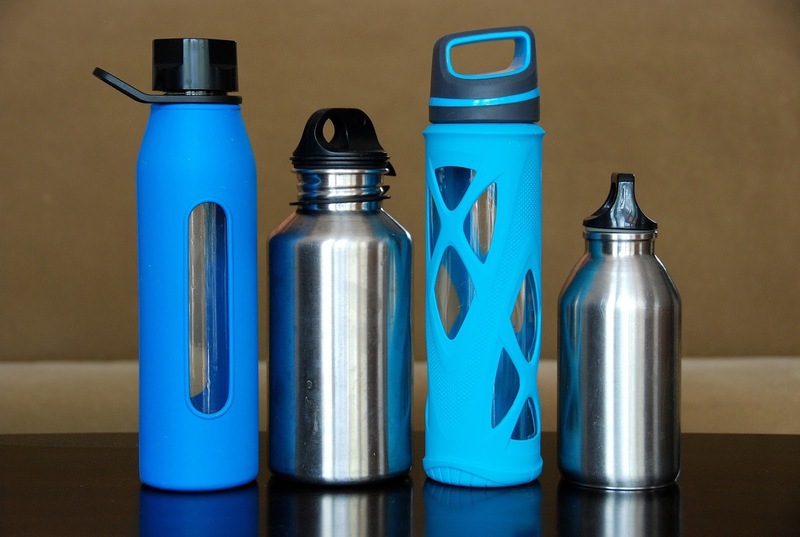 Reusable water bottles are just one way to say "no" to single-use plastic. Here are some ways you can learn how to refuse single-use plastics. All of the ones I have listed I have done myself, or am still trying to master. Please use this as a guide, not as a bible. If you mess up, learn from it and do your best to try again the next time. 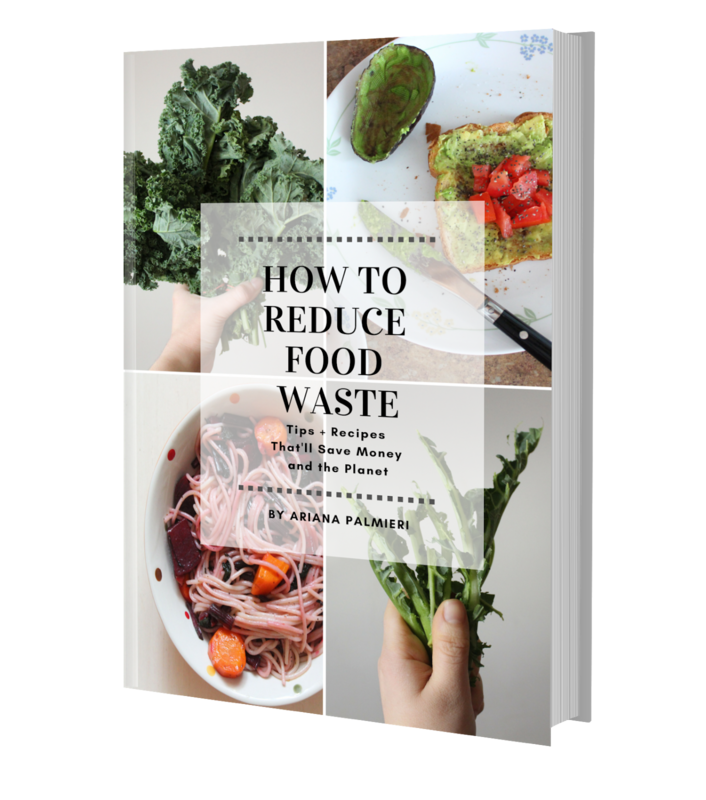 Say "no" to plastic on produce - Buy produce package free. When you go to the farmers market or grocery store, make sure to avoid any produce wrapped in plastic. Most of the time, this is non-recyclable plastic anyway. Opt for the loose produce and place your produce in a big tote bag instead. Either that, or invest in some produce bags. The Tiny Yellow Bungalow has some great options (just go to shop - kitchen - and click on bags at the top of the screen to find them). They have some with really pretty and cute designs. I use the produce bags with the herb and lemon design on the front and love it! They're washable and help me shop completely zero waste while at the farmers market. Grocery stores might be a bit trickier: I haven't taken my produce bags with me there yet, but I know when I do I'll feel almost all eyes on me. Just remember: If you're allowed to put produce into plastic bags, you can certainly put produce into cloth bags you bought with your own money. Just as long as you pay for the produce, there's nothing to worry about. It's not like you're stealing it (which is a thing I feel most people would automatically assume). Use the opportunity to educate others who question you instead. 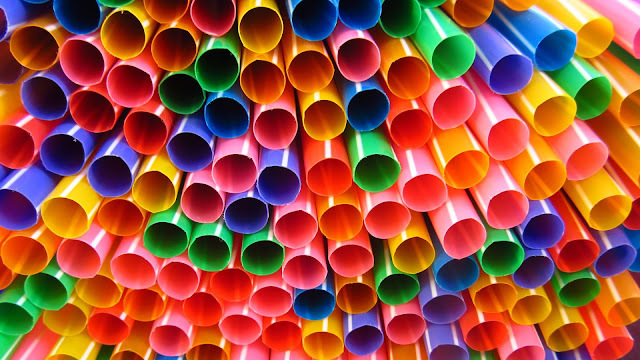 Say "no" to plastic straws - Ask for no straw in your drink as you order it. While I was on vacation this summer with my boyfriend, I made sure to do this religiously. I had my reusable straws with me at all times, so I was prepared. When the waiter came over, I'd simply say, "water, no straw", and they'd give me exactly that. Then I'd place my reusable straw in the drink. Even my boyfriend started doing it! Say "no" to plastic cups and bottles - Use a reusable water bottle or cup. Just like anyone else, I get thirsty while out and about. Instead of buying a water bottle, I just reach inside my bag and pull out my own. I really recommend getting a water bottle that has a filter, or investing in a filter you can add to your water bottle. I use a stainless steel water bottle, so naturally it doesn't come with a built in filter. Instead, I use bamboo charcoal to filter any impurities that might be in it. When at a family event, just use your reusable water bottle instead of drinking from a red solo cup, or a water bottle. If you do happen to drink from a single-use plastic cup, try to hold onto that cup for the entire time you're there, so you reduce the amount of cups you have to use. Just make sure you put it in the recycling when you're done with it! Of course, if the event your at supplies drinks in glass cups, drink from that instead. Say "no" to plastic utensils - Use reusable cutlery whenever possible. When at home, make sure to eat with reusable cutlery and no plastic disposables. As far as going out, I highly recommend you get a multi-utensil pack so you can properly store some reusable cutlery with you at all times. I have one from a brand called Straw Sleeves, and they make great multi-utensil kits. Of course, you could always make your own (if you love DIYs and are good with sewing), but personally, I'm not. I carry around a stainless steel fork, spoon, and knife at all times, just so I'm prepared for anything. At most restaurants, I don't have to use my utensils because they usually don't offer plastic utensils (which is great). But at one restaurant I really like, they (unfortunately) do use plastic utensils, so it's good I carry reusable cutlery. I also notice most food courts only offer single-use disposables, so I avoid this by using the cutlery I have on me. If you're at a family event and see plastic cutlery, try to avoid using it and using your own stash. 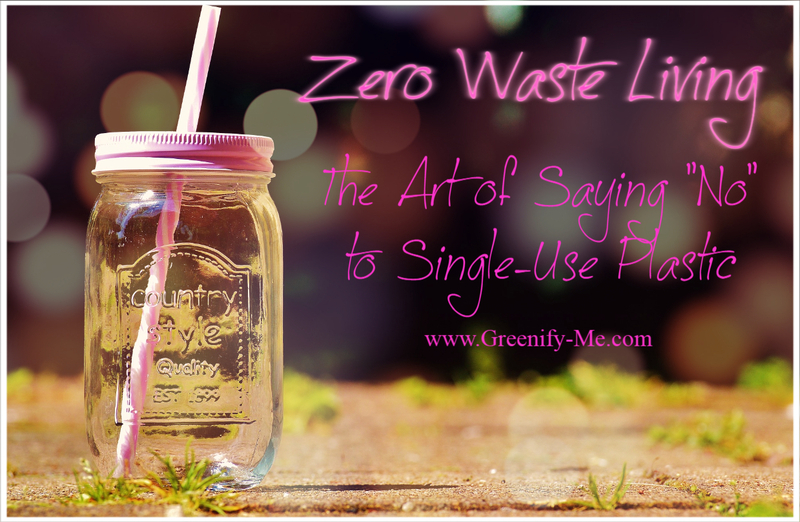 If someone asks about it, you can use the opportunity to talk about zero waste living! If you'd prefer not to stick out like a sore thumb, try eating only finger foods at the event, so you can avoid cutlery all together. Say "no" to plastic wrap - use Bees Wrap, or cloth bowl covers. I know how hard it can be to give up using plastic wrap. It's so handy! Unfortunately, it's also very wasteful and cannot be recycled (at least not here in NYC). Instead, say no to this cheap but wasteful product and switch to Bees Wrap. Bees Wrap is a fantastic plastic wrap substitute and is made out of organic cotton, beeswax, organic jojoba oil, and tree resin. It comes in many different sizes, so you can use it for almost any sized item you can think of. If you're vegan and prefer not to use Bees Wrap, you can also look into getting some cloth bowl covers. 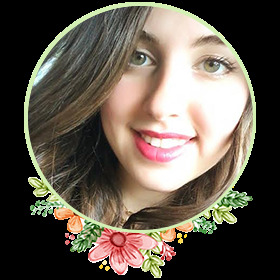 Check out Etsy to find some sellers (they're a loads that have really cute patterns and designs on them too!). You can also store food in glass jars too. No need to get any fancy mason jars (though that works too): Just use upcycled jars from food you finished, like jam or coconut oil jars. Say "no" to plastic bags - Use a reusable bag for shopping. Sometimes, you just don't know when you'll need a reusable bag. I mean, sometimes impromptu shopping happens! That's why I really recommend keeping a reusable bag in your car or purse. Mine is from a brand called Blu Bag: It's really cool because it comes in a little pouch, making for easy storage. I just plop it into my purse and when I need a reusable bag, I open the pouch and pull it out. It's definitely an important purchase, considering plastic bags can take 1000 years to disintegrate. The less plastic bags around the better! The important thing to remember is to tell the person behind the counter about your reusable bag. Don't forget it in your purse or car! Simply ask them kindly, "Hey, can you just put that in here?" and hand them your reusable bag before they put it in a plastic one. Always make sure to say thank you too, because it'll leave a big impression on them. After all, who doesn't want to work with someone who's being nice to them? Of course, self check out is always an option too: Just make sure to place all your items in your reusable bag and not the plastic ones. If you do wind up getting a plastic bag somehow, make sure to research give-back centers near you. Plastic bags aren't recyclable, so don't mix them with your recycling! Give back centers will take them and reuse the bags properly. I've seen a few in Best Buy, Barnes and Noble, and CVS, so be on the lookout! Say "no" to plastic leftover containers - Use a stainless steel container for collecting leftovers while dining out. I'll be honest, I still have to do this. Thankfully, I do usually leave any trace of food on my plate when dining out, so it hasn't been much of an issue. That said, it's important to ask the waiter if your food can be wrapped up in your own container. Have you noticed most restaurants (and food courts) use Styrofoam to store food? It's not cool, because Styrofoam is one of the hardest plastic to recycle. I highly recommend getting some sort of portable container specifically designed for food storage, especially if you eat out a lot. Or if you know you rarely finish meals while dining out. Just ask the waiter "can you wrap this up in here?" and hand them the container of your choice (stainless steel is just the first that popped to mind). Done! Say "no" to food packaged in plastic - Buy dry foods in bulk, whenever possible. If you don't have access to a bulk food store, stick to foods packaged in paper and cardboard. These can be composted or recycled easily. Here's a great resource to see how many bulk food stores are in your area. If you plan on going to a bulk food store, be prepared: You'll probably need some glass jars (they don't necessarily have to be mason jars though), cloth bags, and reusable bags to get you through it. Here's a great resource on how to shop at a bulk food store if you're completely unfamiliar with it. Shopping in bulk also means getting other items in bigger sizes (ex: Soap, laundry detergent, etc. ), which helps reduce the amount of smaller plastic bottles you'd eventually have to buy in the long run. For example, getting a big plastic container of liquid castile soap is better because then I won't have to purchase more for a while. I can make it last without having to create more plastic. Plus, rigid plastics are easier to recycle than other forms. Say "no" to disposable coffee (or tea) cups - Enjoy your coffee (or tea) sitting down. Most of us order coffee or tea to go and don't think twice about it coming in a disposable cup. Instead of rushing out the door, try ordering it to stay and opt for a ceramic cup and saucer. It's nice to give yourself a break and unwind for a bit. Use that moment to just enjoy your coffee (or in my case, tea). If you really do need to run off in a hurry, bring your own reusable cup with you. You can find so many different variations online, and I recommend combing through Etsy for one you love. Simply ask the barista "could you put my coffee (tea) in here?" and they'll more than likely be happy to accommodate you. After all, good service creates loyal customers. If you don't have a reusable cup yet, need to get going, and want something cold to drink, make sure to ask for no straw. While your drink will probably come in a plastic, disposable cup, it'll at least have no straw, so that way you can add your own reusable one to the mix. Most importantly, explain your "no". If you're refusing single-use plastic and someone shows interest as to why, tell them! It's not easy to express yourself to a complete stranger (or a judgmental loved one, for that matter), but it could help boost confidence and spread the zero waste message. While on vacation, there were so many waiters who complimented my reusable straws and asked about them. It was refreshing to see, and I couldn't just not say anything. So, I told them why I was refusing plastic and explained I was a green beauty and green living blogger. Some were so interested in knowing more I actually gave them my card. In total, I gave out my card more times on vacation than I ever do at home. Ironic, huh? It really helped me solidify what I was doing was right, and helped me feel I'm making an impact. By saying "no" to single-use plastic, I was able to inspire others, and you can too! Who knows? Maybe you'll make a zero waster out of them. Did this help you? What are some ways you practice the art of saying "no" to single-use plastic? Share them in the comments below! When I'm dining out here in Halifax I usually have a container stashed in my bag for any leftovers. I simply put the leftovers into the container myself so the server doesn't even have the chance to refuse (some might say it's against health regulations to bring your container to their kitchen/food prep area--I have run into that a few times when trying to use my own containers at bakeries). So far, no one has hassled me; sometimes staff have been intrigued and asked me more about my containers, which is always a welcome conversation. I might look like a weirdo to some people as I put the food into the container, but I do it anyway!